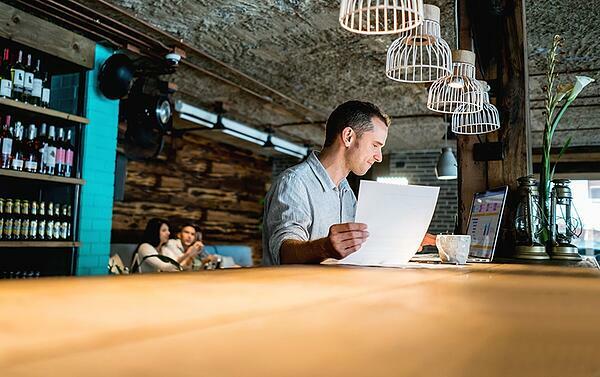 Whether you are implementing a new loss prevention program or looking to revamp your current LP initiatives, these 9 restaurant loss prevention tips form a baseline to help you kick-start the process. Automating data analysis is a core foundational piece when building your loss prevention strategy. By finding things to take off your “manual analysis plate,” you not only save yourself a data-mining headache, but you can also allocate resources more effectively. Targeting common employee profit draining activities like SITs or the wagon wheel scam is a good place to test your automation process – this is because there is usually a pattern to their fraudulent activity, which your data can easily expose. Definition: When a server leaves a check open during service and transfers items from cash checks to the open check. The server then applies a promo (or comp) to the items on the open check at the end of their shift. Rather than manually reviewing restaurant check data and video (more on that later) to identify fraud at your restaurant, you can use your own historical data combined with industry trends to define an “unacceptable” level of activity for each fraud scam (i.e 3 transfers in a shift per employee); and set an alert for it. This “set it and forget it” methodology gives you the peace of mind that if suspicious employee behavior appears, you will be made aware without the need to waste time searching for it. Additionally, advanced restaurant alerting tools have the flexibility to continually add and adjust thresholds to be stricter (or more lenient) as employee behaviors change. So, as your loss prevention scope widens you can institute more automation as things improve. Focus in on employees with above average check counts containing auto-gratuities, or above average total top to sale percentage. Focus on employees manager meal to shift percentage, as well by comparing managers against other managers and look for those above the average or threshold that you set. Focus on variance metrics and set alerts on cashier voids, discounts, cancels, etc. for the day and flag those above a certain threshold outside of the norm. Focus on tip % by server and look for those outside of the norm. You can also compare tips for orders containing voids and those without voids to try to zero in on the transactions that are the issues. Analyze same item transfers in cash transactions by employee or monitor overall transfer activity by employee to see if anyone is outside of the average. Well-deﬁned cash handling procedures reduces the risk of cash loss via employee theft or error. If you lack a well-documented plan, it makes it nearly impossible to track and identify cash handling issues. Poor cash handling procedures is usually a sign of poor overall operations, and knowing how your cash is being managed is a vital component to being a restaurant operator. Once your restaurant’s cash handling plan is in place, you should organize a dashboard of cash management reports that highlight cash over/short for the day by store, register, or cashier that highlights those which exceed the established thresholds. Additionally, a cash index report that includes voids, refunds, discounts, and any other metric that could be an indicator of how a cash shortage (or surplus) occurred will help you gauge where issues are commonly occurring. Analyzing your restaurant’s food cost is a crucial element to running an efficient food service business. Ordering strategies, waste reduction, product turnover timeliness, and employee theft identiﬁcation are all things that can be addressed when you have better visibility into food cost optimization. Comparing food costs to what is actually sold can provide insight into items that are being over-ordered, poorly rotated, or stolen from the kitchen. Set realistic goals for food cost percentage and try to set prices that fall in line with desired margins, and know which profitable items to promote. Make sure that you set thresholds for employees’ meal discounts, communicate those expectations to your staff, and monitor follow through. 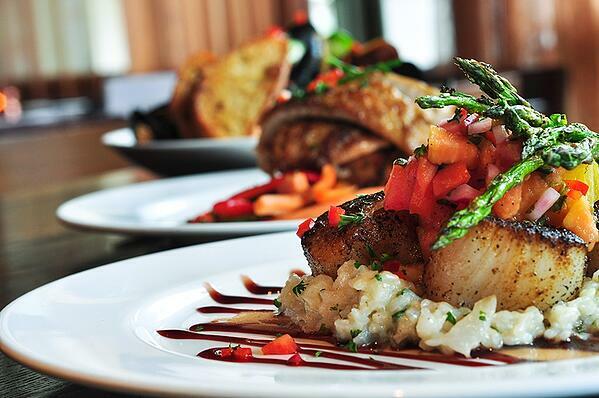 Balance out your menu by assessing item proﬁtability to ensure your menu is not costing you extra money. Hiring & training your staff may not sound like a restaurant loss prevention responsibility, but there are ways that you can use your data to assist these efforts. Using sales, performance, and loss prevention metrics can help your HR team create a model that identifies the “ideal employee.” Although hiring is never an exact science, identifying your top performers and understanding what makes them shine helps supplement the recruitment process as well as the framing of interview questions. Additionally, your restaurant’s training procedures should reinforce the habits & actions that your top employees do to drive profit and provide an excellent customer experience. Risk index analyses that grade your employees on loss prevention metrics like voids, comps, refunds, etc. can provide insight into the things that you may need to address in your orientation & ongoing training procedures. Additionally, looking at operational metrics like upselling and table turns can shed light into the positive attributes that should be replicated by under-performing employees or stores. Analyze sales by day of week, revenue center, day part, etc. and increase or reduce staff on hand based on peak & down times. Evaluate staff attendance vs. scheduled hours to know if particular associates commonly leave you shorthanded. Review weekly shifts and be alerted to servers approaching overtime so that you can optimize labor planning and remain compliant with corporate overtime policies. Review metrics to prevent restaurant fraud via manual time card manipulation & non-worked hours by server, as well as break down avg break and shift length to ensure that your staff is not milking the clock. 1. You don’t know what you’re looking for. Starting with video is like trying to win the lottery. You’re hoping to hit on an incident with no context. You can increase your odds by letting the data inform your video investigation strategy. 2. You are working backward. It’s the “forest from the trees” concept, starting with the details makes it difﬁcult to see the big picture. Is this a localized problem or a systemic issue? Rather than starting with video and searching for the problem, restaurant loss prevention teams should focus on identifying issues in the data prior to resorting to video investigation. Avoid false positives by letting your data tell you when a particular store, employee, or item is outside the norm. Once you have the numbers that back up your assumptions, drill down into the details to make your entire investigation process more efficient. Hint: A best-in-class data analytics solution provider will have the ability to integrate your video directly into their solution. How your restaurant handles and tracks follow-up is just as, if not more important, than actually identifying issues. 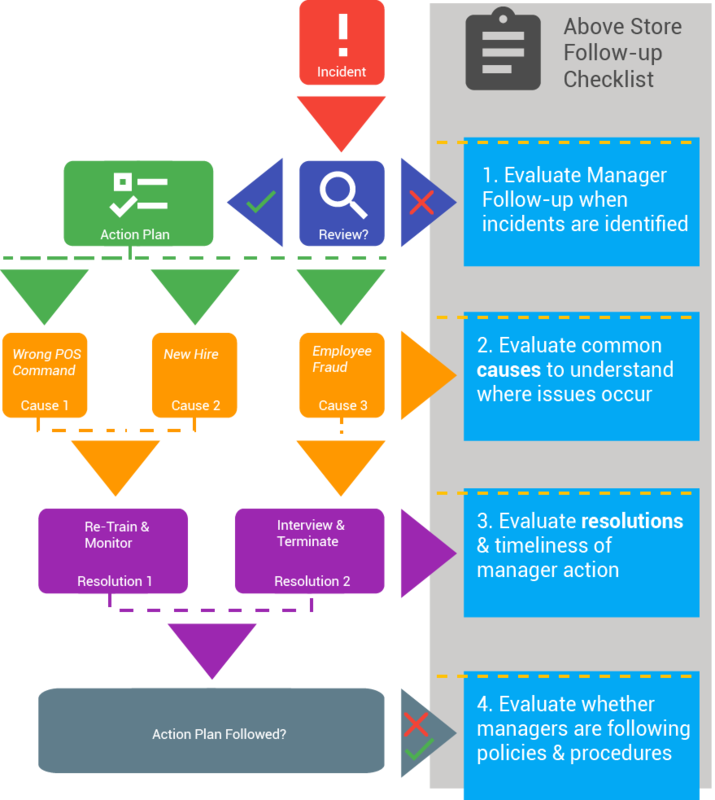 Without a deﬁned “action plan” to address how to proceed when an incident is discovered, you leave yourself open to restaurant managers pushing problems to the wayside. Developing and adopting a standardized follow-up workflow can help streamline and operationalize your restaurant loss prevention efforts. Following the chart in this section (on the left), we will walk through a framework that your management team can build their follow-up process upon. Once a follow-up plan is in place, you will see that there’s an immediate sense of restaurant-level buy-in because performance insights are now shining a spotlight onto under-performing staff and managers. Communication is another key to an effective restaurant loss prevention strategy. Whether it is in employee training, during regular meetings, or when a new policy is introduced, make sure that your staff is well aware of the rules & repercussions involved. Drawing their attention to the software or processes that are in place to monitor their activity can sometimes be a deterrent to future “bad” behavior. This may seem like an obvious one, but the majority of restaurant employee fraud is opportunistic or due to the belief that they either won’t be caught or there will be no repercussions. Make sure the employee handbook is readily available, post signs in the back ofﬁce or kitchen, and follow through with the rules so your staff knows their negative activities do not go unnoticed. There is a ﬁne line between running a tight ship and appearing overbearing. So, promote open dialog with your staff so that they feel like they are an important part of the team. This approach will make them feel like a vital asset to the restaurant, and help preemptively prevent restaurant theft while improving overall morale.